Large corner lots totaling 4.88 acres intersecting on Blossom Drive @ Bonwood Drive in the Monterosa Subdivision in beautiful Cabarrus County. Acreage is heavily wooded and would allow lots of privacy for a homesite! 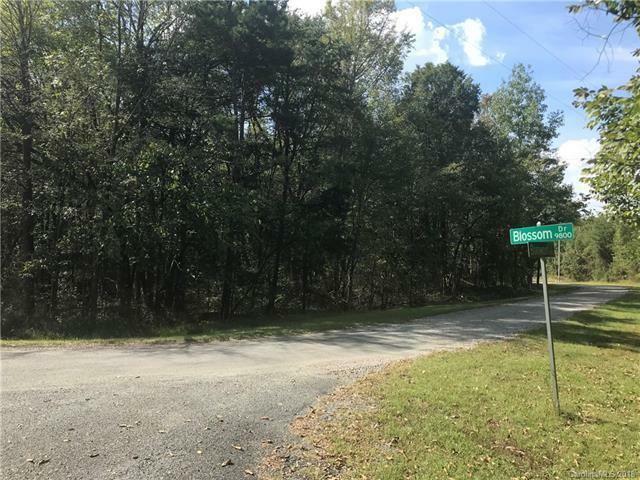 Perfect corner lot which would be ideal for a semi-circular driveway with entrance/exits on Blossom as well as Bonwood Dr.Land did not perk and an engineered septic system would likely be necessary. Owner is willing to work with an acceptable offer to assist buyer with this cost.